Join us for great STEM activities! On Saturday, March 2nd, 2019 from 9:00 a.m.-4:00 pm. we will host conference for teachers grades pre-k – 12. Get great hands on STEM and TEKS based make & takes, Planetarium shows and prizes. If you have not experienced Scobee Education Center, come see what we are all about. Earn 6 CPE’s. Registration for participants, vendors and local resources: contact Celina Terrones. To be a Sponsor, contact Natasha Sobers. The Najim Challenger Learning Center Grant is awarded to Title I classes to provide professional development resources for the teachers and a unique STEM education experience for their students. The grant covers a Challenger Learning Center mission and a planetarium show. Click here for Najim Challenger Learning Center Grant Application. The Armed Forces Communications and Electronics Association AFCEA, Alamo Chapter 2018 Grant is awarded to classes with underrepresented students to provide them with Challenger Learning Center Mission and planetarium show experiences. Click here to apply for the AFCEA Grant. All Teachers who are registering for a mission must attend a free Pre-Mission Training. Earn 6 hrs of CPE’s. Once you are registered for a mission you will receive the registration link for Pre-Mission Training. Contact Jennifer Becerra for more information. 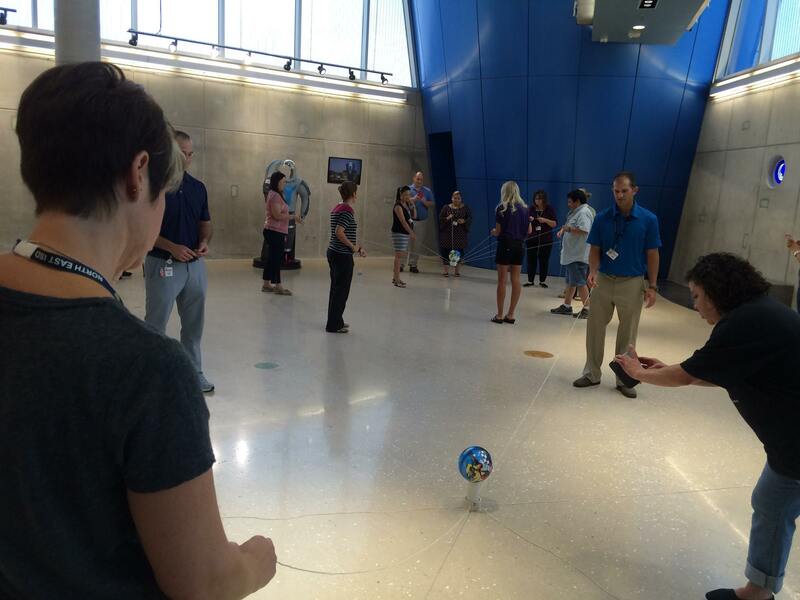 Participants become Mission Control Specialists and Astronauts as they conduct a mission to space. Astronauts are transported to the simulated space module where they work, conduct experiments and resolve emergencies. Mission Control specialists are teamed with the Astronauts and provide research and critical information to make the mission a true success. All participants get the chance to be both Mission Control Specialists and Astronauts. 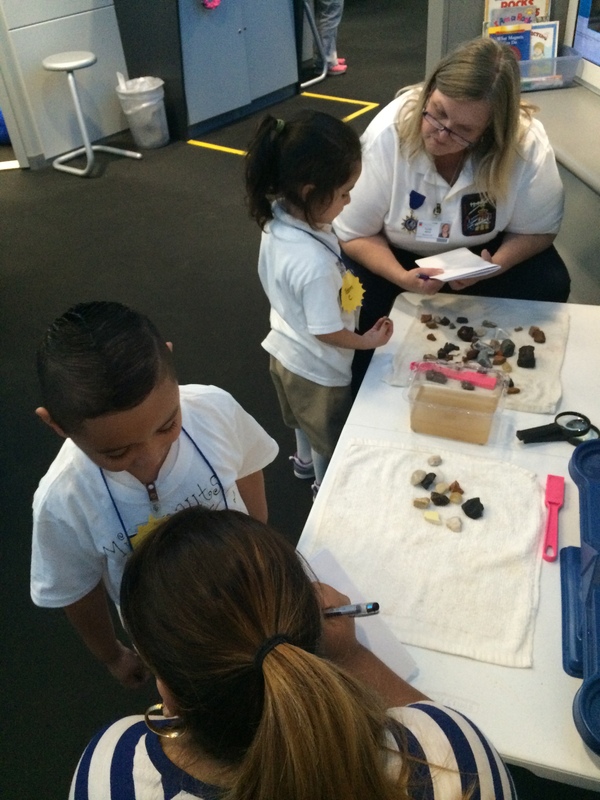 Our littlest astronauts have a blast exploring hands on STEM activities in the Space Station. 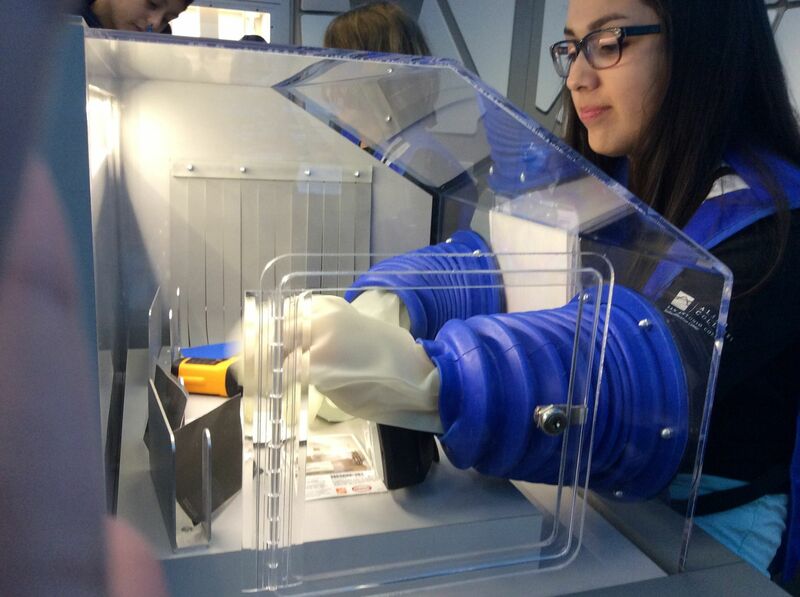 Micronauts are transported the ISS where they become engineers as they build simple machines, rockets, satellites and use robotic arms, scientists as they experiment, use glove boxes and microscopes, and astronomers as they study the solar system and stars. 2018-19 Planetarium Show List with TEKS– Call or email our center for reservations. The planetarium show catalog lists all shows, TEKS and Educator guides. Bring meteorites and the moon into your class! 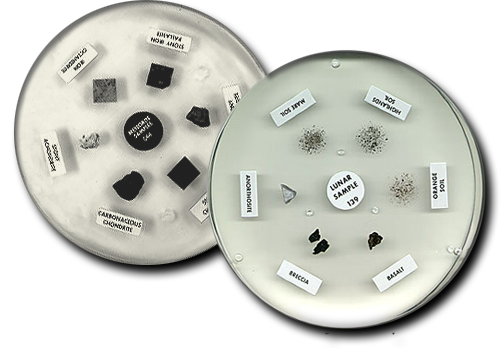 State certified teachers can qualify to checkout and use lunar and meteorite disks in their classroom or event. Each disk contains six samples of Lunar or Meteorite material in a 6″ diameter clear lucite disk. Upon checkout each disk is accompanied by written and graphic descriptions of each sample, a PowerPoint presentation; a teacher workbook; and additional materials. Earn 6 hrs of CPEs. Contact Jennifer Becerra for training dates and registration.